You’re running out of battery life and you’ve got a dozen emails to attend to while you’re on the go! What are you supposed to do? Hang on to that last bar of energy till you get access to a power outlet? In this technological savvy world where everyone is so used to using a Smartphone almost all the time, having a handy power bank can be a life saver. With this highly functional item fast gaining momentum, it presents a highly lucrative opportunity for businesses to capitalise on. If businesses adopt this technology trend and get their logo imprinted on it, they are sure to deliver value to the end-user. Creating a worthy brand image and positioning your brand in a way that distinguishes you from your competitors is what ultimately builds credibility. 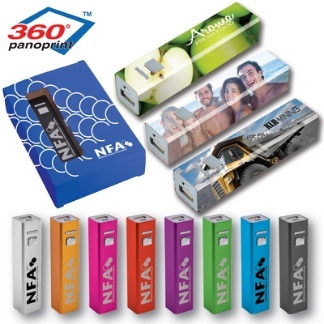 When you choose a power bank as a business promotional product, you are giving off a positive message about your brand. This is because power banks are high-end items. A high-value tech item is something that most consumers will appreciate. It will also make consumers perceive your brand as worthy and reputable, dedicated to quality. Anything that imparts real value to the customer is bound to increase the effectiveness of brand recall. Not only can power banks solve your power problems on the go, it is also compact and portable. Hence, any employee or customer who is carrying a power bank with your company name, logo and contact information printed on it is sure to catch everybody’s attention. A highly functional item unconsciously seeps into the consumer’s mind and increases brand recall. With the ever-increasing demand from the online world, technological gadgets are a must-have with everyone. 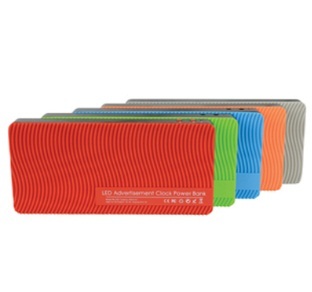 From laptops to iPads and Smartphones, a portable power bank can charge just about anything. Power banks are something which can easily be customised with the information you want to get it printed with. If you wish to place an order for customising superior quality power banks as your next business promotional product feel free to contact us as we have a diverse portfolio to choose from. Depending on your budget you can either opt for our Aluminium power bank stick to our Balmain power bank stylus gift set, which can be customised as per your needs. We even have these power banks available in a range of colours. It’s time to make your employees and clients feel valued!